Muneer Ahmad is Deputy Dean for Experiential Education, a Clinical Professor of Law, and the Director of the Jerome N. Frank Legal Services Organization at Yale Law School. He co-teaches in the Transnational Development Clinic and the Worker and Immigrant Rights Advocacy Clinic (WIRAC). In WIRAC, he and his students represent individuals, groups and organizations in both litigation and non-litigation matters related to immigration, immigrants’ rights, and labor, and intersections among them. Muneer Ahmad is Deputy Dean for Experiential Education, a Clinical Professor of Law, and the Director of the Jerome N. Frank Legal Services Organization at Yale Law School. He co-teaches in the Transnational Development Clinic and the Worker and Immigrant Rights Advocacy Clinic (WIRAC). In WIRAC, he and his students represent individuals, groups and organizations in both litigation and non-litigation matters related to immigration, immigrants’ rights, and labor, and intersections among them. He has represented immigrants in a range of labor, immigration, and trafficking cases, and for three years represented a prisoner at Guantanamo Bay; he has written on these and related topics. In the Transnational Development Clinic, Professor Ahmad and his students work on projects designed to identify productive sites for intervention for U.S.-based lawyers in global poverty work. This has included work regarding the rights of street vendors in India, the barriers faced by immigrant communities in sending remittances to their home countries, access to essential medicines, institutional accountability among international financial institutions, and advocacy on behalf of workers displaced by changes in trade policy. His scholarship examines the intersections of immigration, race, and citizenship in both legal theory and legal practice. Previously, he was Professor of Law at American University Washington College of Law. Prior to joining the faculty at American in 2001, he was a Skadden Fellow and staff attorney at the Asian Pacific American Legal Center in Los Angeles. He clerked for the Hon. William K. Sessions III in the U.S. District Court for the District of Vermont. Clinical Professor of Law Muneer Ahmad is quoted about a workshop titled “Immigration Policy and Advocacy 101” hosted by New Haven’s Integrated Refugee and Immigrant Services. 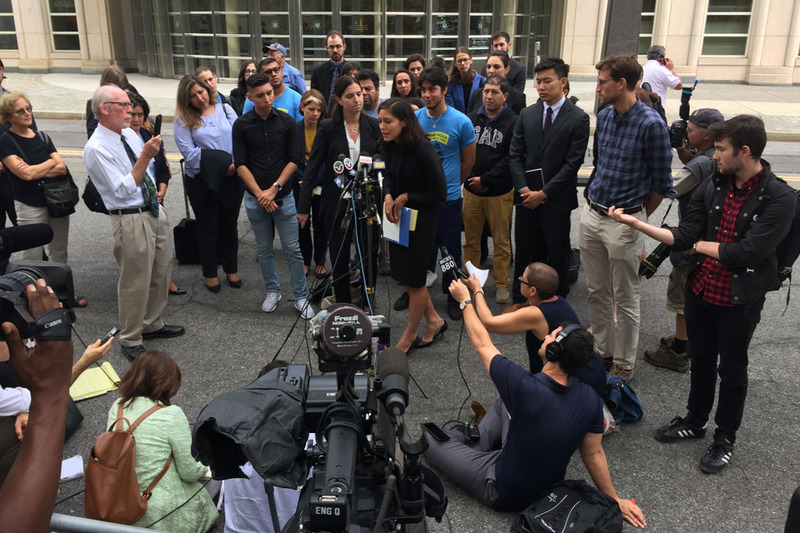 Two families that had been forcibly separated and detained for weeks have been reunited after a successful legal challenge by Yale Law School’s Worker & Immigrant Rights Advocacy Clinic (WIRAC) and Connecticut Legal Services. Clinical Professor of Law Muneer Ahmad and Clinical Associate Professor of Law Marisol Orihuela ’08 are quoted in a report on the reunification of two children and their parents who had been separated at the U.S.-Mexico border. The children were represented by the Worker and Immigrant Rights Advocacy Clinic and CT Legal Services. Students from WIRAC held a press conference last year after a DACA hearing in New York. 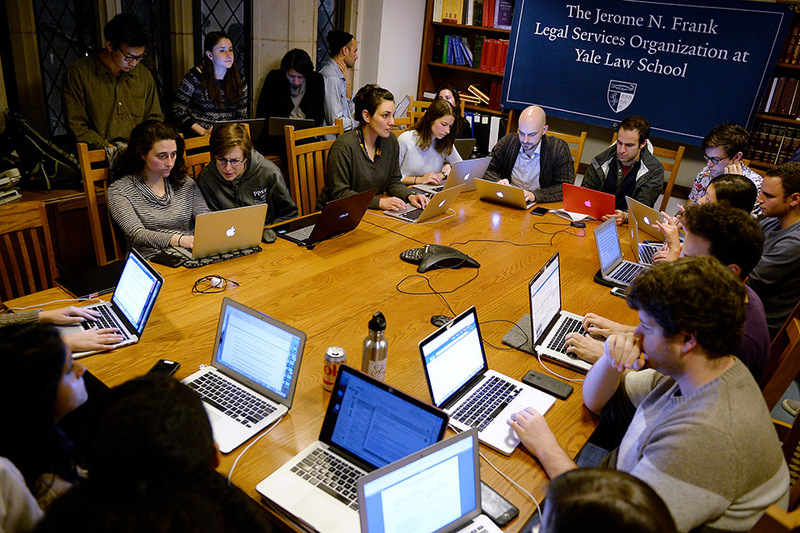 Yale Law clinics have secured three nationwide injunctions in a little over one year, making headlines and shaping the national conversation. 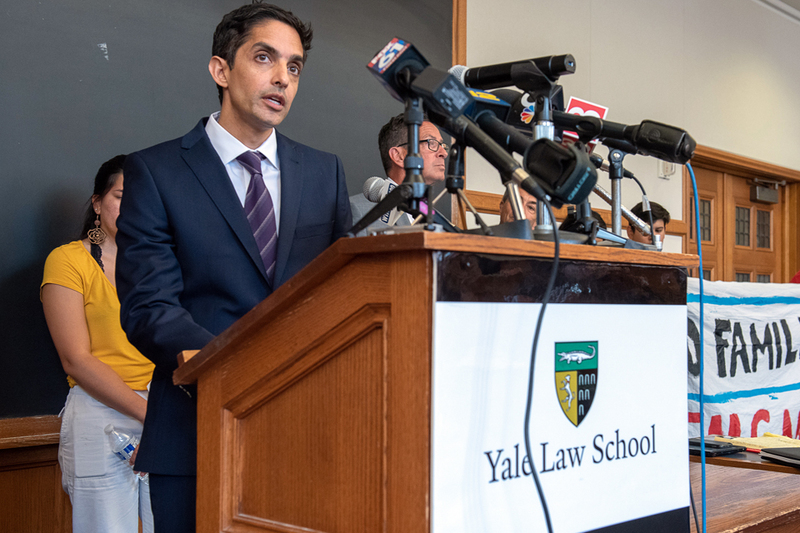 Deputy Dean for Experiential Education, a Clinical Professor of Law, and the Director of the Jerome N. Frank Legal Services Organization Muneer Ahmad is mentioned in a report on Batalla Vidal v Baran, that challenges the Trump administration’s termination of the DACA program. The plaintiff is represented by Ahmad and students with the Worker and Immigrant Rights Advocacy Clinic. Deputy Dean for Experiential Education and Clinical Professor of Law Muneer Ahmad is quoted in an article about whether children should be used as interpreters in emergency situations. 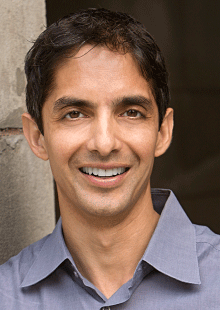 Muneer Ahmad is a Clinical Professor of Law at Yale Law School. Clinical Professor of Law Muneer Ahmad and Rebecca Heller ’10 are quoted in an article on efforts to obtain information about those detained and or deported in the wake of President Trump’s travel ban. Clinical Professor of Law Muneer Ahmad was interviewed about legal efforts in response to President Trump’s executive order on refugees. Clinical Professor of Law Muneer Ahmad is quoted in an article about sanctuary cities. Clinical Professor of Law Muneer Ahmad is quoted in an article about a possible Muslim registry under the new administration. Kris Kobach ’95, Kansas Secretary of State and Trump advisor, is mentioned. Muneer I. Ahmad is a Clinical Professor of Law and Alice M. Miller is an Associate Professor (Adjunct) of Law and the Co-Director of the Global Health Justice Partnership at Yale Law School. Clinical Professor of Law Muneer Ahmad is interviewed about ways in which to unite the LGBT and Muslim communities. More than 200 graduates of Yale Law School participated in commencement ceremonies on Monday afternoon at the William K. Lanman Center at Payne Whitney Gymnasium, joined by a celebratory crowd of more than 1400 people, including friends, family, and Law School faculty. 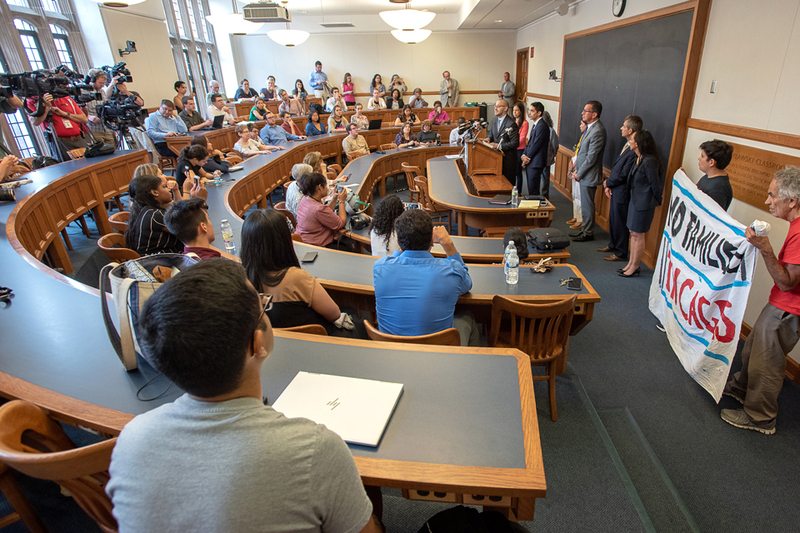 The new Transnational Development Clinic at Yale Law School is tackling important issues such as street vendor rights, remittances, and assistance to displaced workers. Muneer I. Ahmad, professor of law at American University’s Washington College of Law and a specialist in immigration law and international human rights, will join the Yale Law School faculty on July 1, 2009, as a clinical professor of law.